The US Federal Reserve increased the federal funds rate to 1.75 percent, resulting in a weaker dollar and a soaring gold price. After two days of meetings, the US Federal Reserve announced its first interest rate hike of the year on Wednesday (March 21). The central bank lifted the target federal funds rate from 1.5 percent to 1.75 percent, sending the US dollar into a downward spiral and lifting the price of gold. 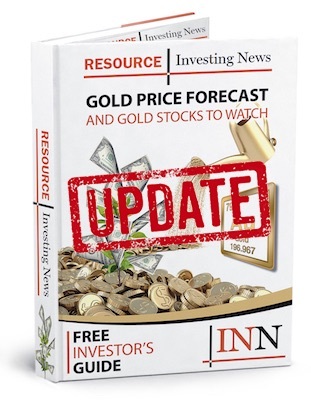 Despite declines leading up to the Fed’s decision, the gold price rose 1.12 percent, reaching US$1,326.80 per ounce, after the hike was announced. “A rate hike at this time is reasonable, as the [committee] tries to balance the competing aims of, on the one hand, raising inflation up to the 2 percent target, and on the other, limiting the risk of overheating that would necessitate a sharp increase in interest rates later that could be destabilizing,” said Ken Matheny, executive director for US economics at Macroeconomic Advisers by IHS Markit. With the first hike of the year officially set in motion, policymakers led by new chairman Jerome Powell have also provided some clarity about whether there will be a fourth hike in 2018. Fed officials say they continue to project a total of only three increases this year. However, they forecast a steeper path of hikes in 2019 and 2020, citing an improving economic outlook. “The economic outlook has strengthened in recent months,” the policy-setting Federal Open Market Committee (FOMC) said in a statement Wednesday in Washington. Officials also said that “further gradual adjustments in the stance of monetary policy” will be made. During the announcement, the Fed also raised its forecast for 2017 GDP growth from 2.5 percent to 2.7 percent, while increasing its 2018 expectation from 2.1 percent to 2.4 percent. Similarly, inflation expectations also shifted slightly. Officials announced that this year’s forecast remains at 1.9 percent for both core and headline inflation, while 2019 is predicted to bring an increase to 2.1 percent from 2 percent for core personal consumption expenditures. The committee pushed the 2020 level up from 2 percent to 2.1 percent for both core and headline. The projected inflation increases are particularly impressive considering that the Fed mentioned the unemployment rate is running low. “Job gains have been strong in recent months, and the unemployment rate has stayed low,” the FOMC said. Despite the common belief that the dollar climbs when interest rates increase, the same can’t be said for how it performs following Fed interest rate hike announcements. In fact, on most occasions, the dollar actually falls immediately following rate hikes. Analysts believe dollar bulls were disappointed after the Fed’s decision to hike interest rates only three times this year instead of four. A weaker greenback is good news for gold and its appeal within the market, as it makes commodities priced in dollars cheaper for investors using other currencies. As of 3:03 p.m. EST, gold was up 1.51 percent, trading at US$1,330.40 per ounce.